Anne concentrates her practice on matters involving business and commercial litigation, with a specific focus on commercial lease disputes and employment law. She has significant experience with employment law, including unpaid wages, minimum wage and overtime violations, FMLA, ERISA, employment contracts, breach of contract, shareholder derivative actions, and employment discrimination claims under Title VII, ADEA and ADA. Anne also has experience handling litigation matters brought before federal court in the Northern District of Illinois, before Illinois state courts and before the Equal Employment Opportunity Commission. 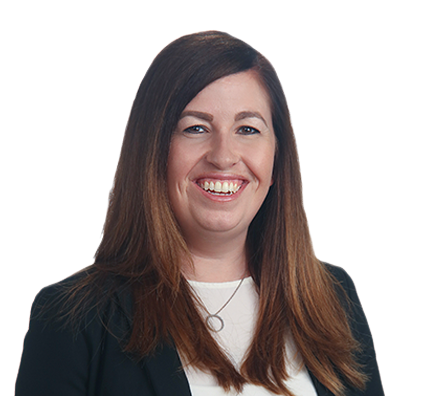 Anne works closely with clients to guide them through the litigation process and advise them of the employment law issues facing their businesses. Anne gained experience and insight into employment law when she served as a law clerk for the Fair Labor Standards Hearings Unit at the Illinois Department of Labor. While there, she researched, analyzed and drafted memoranda and judicial opinions on issues involving equal pay, minimum wage, overtime and prevailing wage. Anne attended hearings before administrative law and circuit court judges and participated in field investigations of potential violations of the state’s fair labor standards. While studying at DePaul University College of Law, Anne worked as a student clinician at the Immigration & Asylum Legal Clinic. There she counseled clients and developed effective strategies for accomplishing their immigration goals. She conducted extensive research on deportability, asylum, I-751, Violence Against Women Act (VAWA) and U-Visa, and she frequently worked with translators in preparing the necessary documentation. Also at DePaul, Anne worked as a student public interest coordinator, developing and planning presentations on legal careers in the public interest sector, keeping in step with DePaul’s Vincentian mission of “serving the underserved." Successfully settled a construction lien case.